It's Thanksgiving, and we've got food on the brain. Before the big meal, however, you might have to endure the available edibles at an airport departure lounge. Be brave, as you ponder this burning question: If you could do anything to improve the flying experience, what would it be? This week, Gizmodo asked a handful of pros in different fields that very same question. We've heard from textile designer Elizabeth Whelan, customer experience designer Matt Rolandson, co-working and retail expert Rena Tom, and, today, we're talking to Doug Yakel, public info officer at San Francisco's very own SFO. SFO is an international hub that's become truly beloved in the past few years, thanks in large part to its efforts to make the experience feel like the city itself. Here's what he had to say about upping the airport concessions game. "There's nothing wrong with the big chains—they come heavily advertised, there's brand recognition, and you know what you are going to get. But SFO took a chance that local, artisanal food and gift products could bring something different, and just as special. Napa Farms Market embodies this approach; they offer high quality, local, fresh products, with a wonderful assortment. Coupled with a knowledgeable, friendly staff, the passenger leaves satisfied with a sense of great value." Photos from Flickr user Jun Seita. "Airport staff has to go out and find the right provider who can keep up with the heavy demand, while still maintaining a high quality product that appeals to both local travelers and the rest of the world. It has to represent San Francisco, but have universal appeal." "Terminal 2 has raised the bar for SFO and the whole airport industry, and we will soon be opening Terminal 3, Boarding Area E, with a mixture of proven successful concepts, as well as a new concept known as 'pop-up' concessions. For many small businesses, the airport is a tough market to enter because of the traditionally-high build-out costs. But by providing 'move-in ready' facility space, this concept provides access to such concessions by reducing the price of entry. Small, local businesses that have never operated at an airport will have an opportunity to showcase their goods for six or 12 months at a time. If their concept proves to be successful, then the airport will attempt to bring them in on a more long term basis." 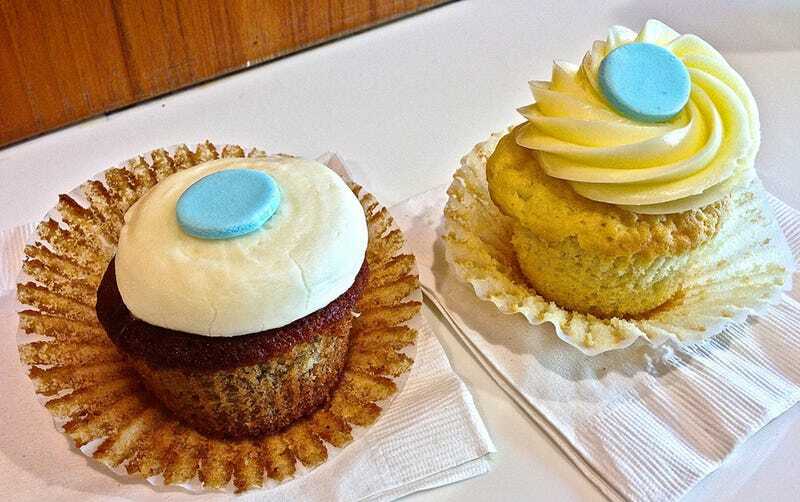 Lead image of SF-based Kara's Cupcakes via Flickr user Fuzzy Traveler.